The Marine Integration Team is a group of independent companies with complimentary skill sets and demonstrated experience, delivering advanced marine power generation & propulsion systems to a global client base. It is comprised of experienced integration professionals and industry leading component vendors. The team provides world-class products, systems and services that are focused on helping their clients improve productivity, reliability and energy efficiency. 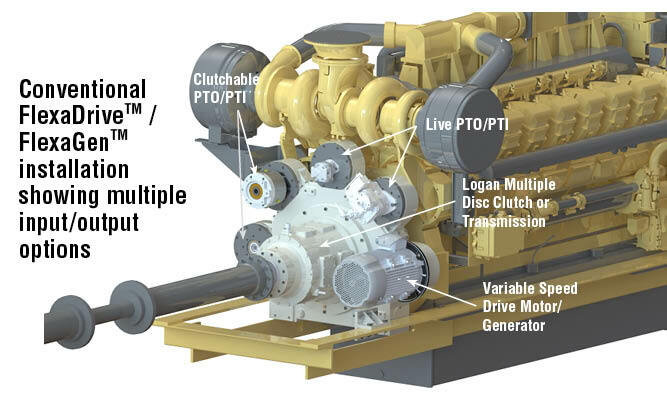 Systems Integration is the key ingredient for a successful advanced Propulsion & Power Generation installation. Peak performance of individual driveline components can only be achieved if the entire system is effectively integrated to meet & exceed the desired operational outcomes. 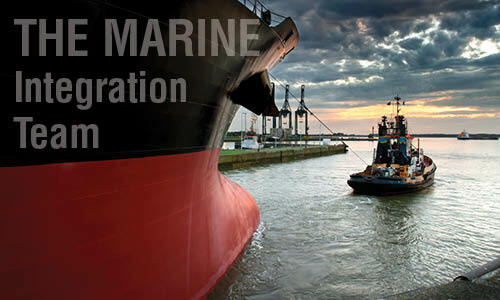 The Marine Integration Team will ensure that your system is optimized, reliable and effective! In-depth understanding of marine operations and systems ensures an installation that satisfies the operator’s goals while meeting or exceeding the most stringent safety and regulatory requirements. Our integration team is comprised of marine & electrical engineers, automation technicians, integration specialists, vessel operators and project managers. All have “real life” experience in their respective disciplines and also in the delivery of complex integrated power and propulsion solutions. The team is complimented by suppliers of leading edge technology. 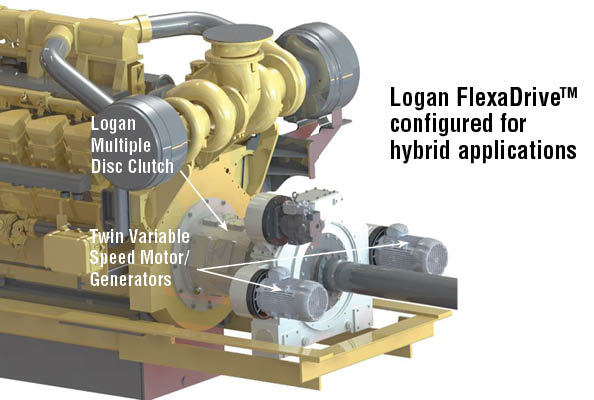 The Logan FlexaGen: utilizes a variable speed motor generator, installed on a FlexaDrive tower, to provide low level propulsion instead of running the large main engines. 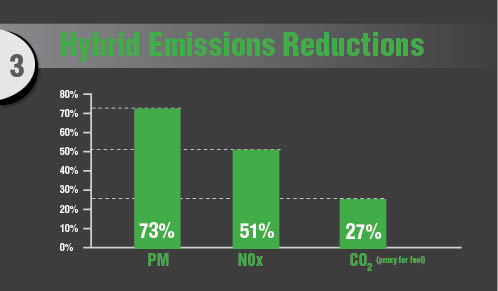 The same unit can seamlessly function as a genset, and support vessel services, whenever the main engine is running – and further contribute by lowering emissions, fuel consumption, and engine maintenance. 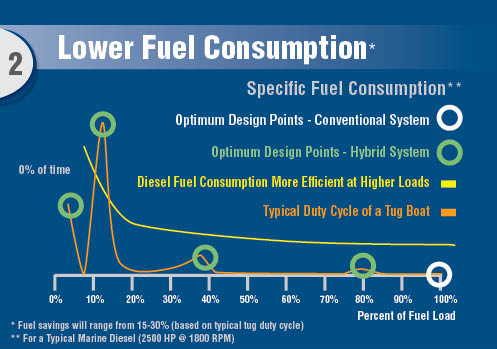 An added benefit is increased redundancy, which makes the vessel power plant more robust. 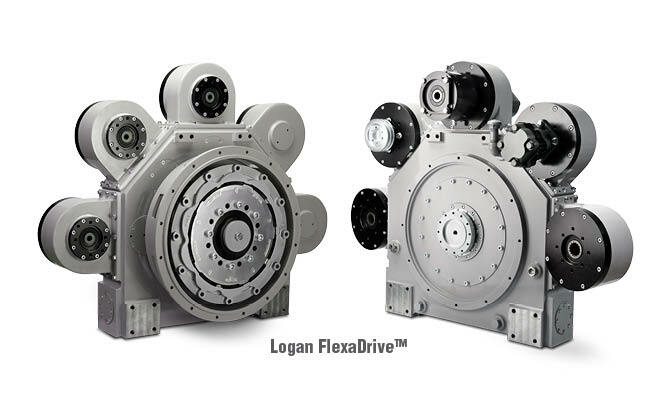 Founded in 1975, Logan Clutch Corporation is a family-owned original equipment manufacturer (OEM) of industrial clutches and brakes. For over 40 years, it has maintained a close and mutually beneficial relationship with its customers and the markets it serves, both at home in the US and across the globe. Logan has the Project Management, Engineering, manufacturing and financial assets to provide transparent partner asset utilization for projects. 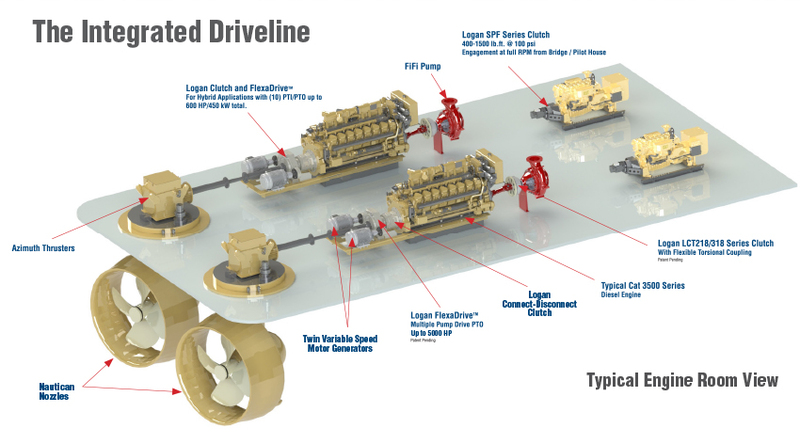 With manufacturing and engineering in Cleveland OH USA, Logan engineers have experience merging automation technology components into an easily applied system with the right engineering package to get the job done efficiently, and for the long run. Offering project integration for selected projects, Logan assumes the responsibility to provide a single point of contact for customers who prefer to purchase a complete system. 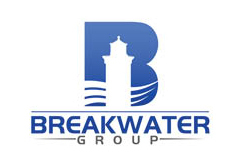 The Breakwater Group specializes in business & engineering consulting as well as training & coaching for sales and business development professionals in the marine industry. The company’s principals and staff are recognized as innovators and are well known and respected as marine systems integration specialists. Incorporated in 1973, Canal Marine & Industrial has been the leading provider of electrical engineering installations on the Great Lakes. In recent years the company has focused on building its capabilities as an advanced systems integrator. The company also provides a wide array of services including troubleshooting, maintenance and repair, electrical engineering and vessel surveys. 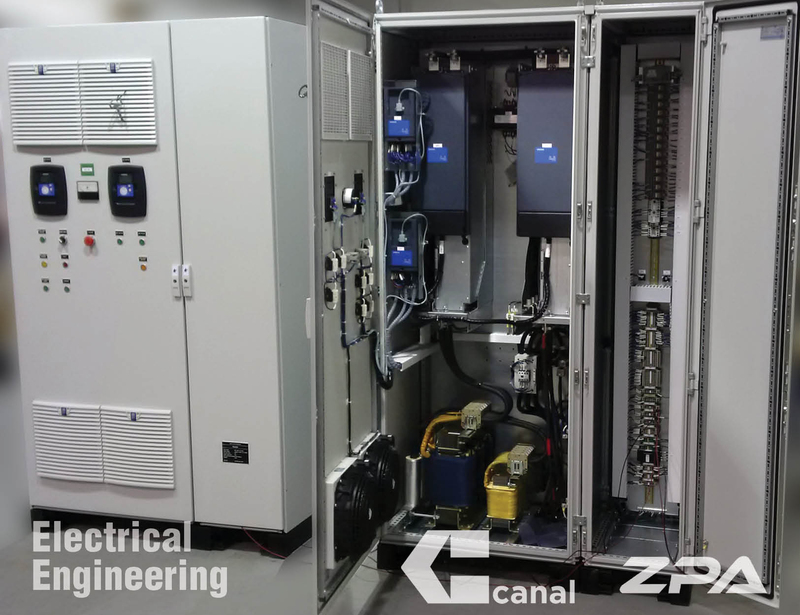 ZPA is a world class integrator for power, control and system solutions. The company’s integrated solutions are delivered through a wide range of in-house engineering capabilities and support to customize solutions for our international clientele base across Asia, Australia, Europe and the Middle East. With over 45 years of field services, electrical engineering and technology development, ZPA serves globally in the marine & offshore and energy business divisions.